The new pages for Washington County have been Updated. Check the "Odds & Ends"
My name is Martha and I will be your guide to all things "Clackamas County". I do not live in Oregon, but have family that lived in various parts of the State for many years.l will do my best to answer questions and find information that might contibute to your success as a family researcher. I can be contacted by email. Please use this link. Many of the static pages have been reformatted for easier searching. Oregon City became the county seat for Clackamas County. The city was built on a portion of Dr. John McLoughlin's land claim. In 1844 Oregon City was incorporated by the Provisional Legislature, making it the first incorporated city west of the Rocky Mountains. This area was the terminus for water transportation on the Willamette River and had been a meeting place for Indians, hunters, trappers, and Hudson's Bay Company voyagers for years. The first major overland immigration to Oregon City occurred in 1842. Three years later Samuel Barlow established an immigrant route that ran from The Dalles, around the south side of Mt. Hood, and into Oregon City. The Barlow Road funneled thousands of immigrants into Oregon City and Clackamas County during the 1840s. Oregon City rapidly became the primary urban center in Clackamas County and dominated social and political life in Oregon during the provisional government period. The removal of the territorial capital from Oregon City to Salem in 1852 shifted most of the political activity to Salem. 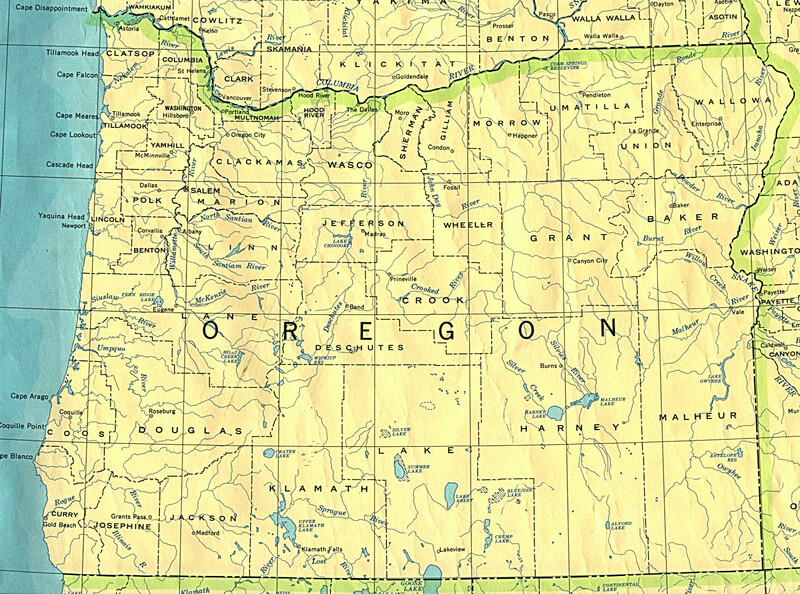 The creation of Multnomah County in 1854, at the request of Portland residents, removed Oregon's principal commercial city from Clackamas County as well as the county's access to the Columbia River. Prior to construction of a courthouse, county records were housed in several locations in Oregon City, including the former provisional state house. Two of the locations burned but the county records were saved. In 1884 a frame and concrete structure was built at a cost of $145,000. In 1935 the county records were moved temporarily to rented quarters while a new courthouse was built. Using construction grants available through the Works Progress Administration the current courthouse was completed in 1937. Clackamas County elected government is composed of five commissioners, a district attorney, assessor, clerk, sheriff, surveyor, and treasurer.